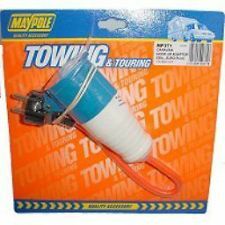 Welcome to our Going caravan parts page. Hi, I would like to know if you have a caravan leg measuring from nut bolt to end of spindle -59cm and then the block at the end with the 3 holes measuring at -23cm If you could get back to me thank you regards. Hi do you do Milenco caravan accessories as well as caravan spares and parts? I have tried calling the phone number that is listed but it says the number does not exist. I require a front window for a freedom sunseeker 400 1991 1200 x 600 mm be great if you have one Thanks. ​Hi, I am trying to find two items for a Hymer Nova 470 (2004). 1 – A Comet water connector. 2 – A wheel spat. I can send photographs if required. 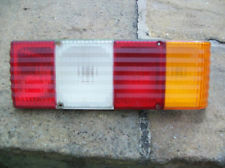 Hi, I have a bailey discovery 1995 and im looking for a rear back light right hand side, also the middle window on the front.. Could you let know if you have them , your location and a price please. Do you have sterling eccles saphire 2000 model front windows available? Hi, I am looking for Going caravan parts and a toilet cistern for a willerby 2000 year 2002 it is in creamy colour also looking for the bath taps which have shower attachment on them. thank you. Hi have you got a PCU1250 powermaster for a bailey ranger. HI I'm looking for caravan and towing accessories and an ellbee nearside side window for a elddis hurricane ex300 1966, approx. 41 3/8" W at top, 40 5/8" bottom w, depth24 1/4". please can you help and what the cost would be. many thanks. Hi, I have an abbey gt 212 14ft caravan 1977. My roof vent is leaking water badly as it has fallen apart. In need to get a replacement one. Any ideas on the size that I may need? Many thanks. We are couple embarking on a mobile home build project for 2014. We're writing to see if you have any second hand flatbed trailers or old caravan chasis, as we're hoping to build a gyspy caravan out of second hand / salvaged / re used materials and the first thing we need is a flat bed trailer. Something along the lines of this. Also, if you know of any caravan repair people or scrap yards in the SOuth West, that would be really useful in our quest for an old trailer base to build up from. Any leads, materials, suggestions greatly appreciated. Hi, I'm looking for Going caravan parts and an offside wheel arch trim for a Bailey Discovery Bordeaux please. May be easier to replace both with something that fits though. Looking forward to hearing from you.